Daemoniac belong to a special breed of death metal madness the kind of triumphant heaviness that speaks to the endlessly fucked up nature of the genre, Daemoniac understand what it means to unleash death metal destruction with little consideration for how the common man finds the balls out depravity that defines their sound. 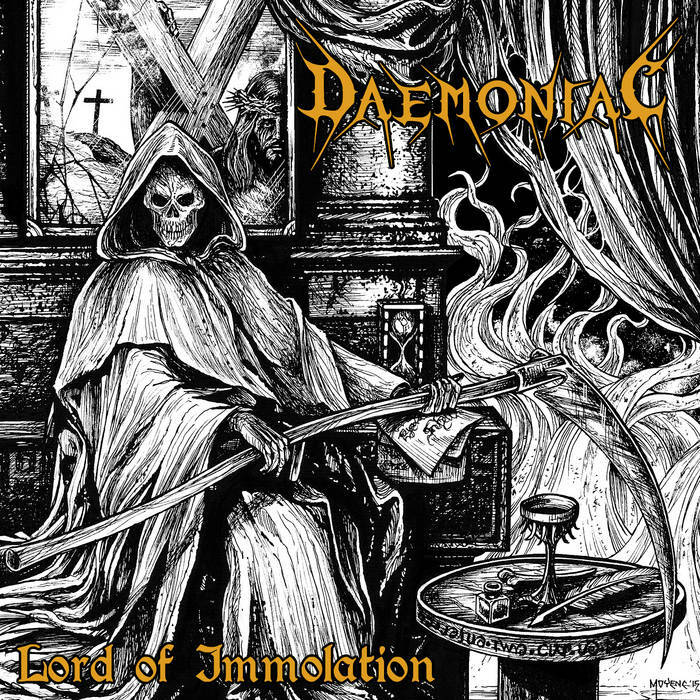 The fact of the matter is that with their new record - the beautifully demented Lord Of Immolation the band unleash buzzing riffs and guttural growls to make the listener suffer for ever demented second. As you find yourself getting lost in the twisted remonstrations of these metal masters they come out and prove that they understand the beautiful evil that all death metal bands should have. At the end of the day - this is the kind of thing that gets my heart beating fast. Daemoniac come at you at a million miles an hour and then suddenly slow it down, rip your brains out and then trample all over them. In other words, prepare for the madness to begin.